Wireless Microphone Systems are a kind of push-to-talk conference microphone, having built-in loudspeakers that permit everyone to speak and hear clearly at group meetings. They have the flexibility to fit in any room structure. For the ultimate in convenience and sophistication, you can’t beat a wireless push-to-talk mic system! It sets up in minutes, and there are no cables to hide or tape down. Your executive board members will love this system! 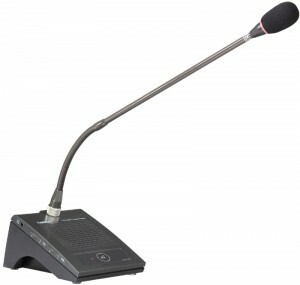 Would you like to rent a wireless conference mic system? Give us a call 480 596 0047 - we'll be happy to provide a free quote.